The 2017 Printing Industries of America Dynamic Ratios survey results are in and the findings indicate a modest rise in printing industry profitability. 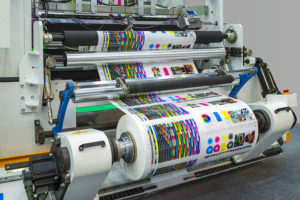 On average, the typical printing firm’s profit as a percent of sales increased from 2.66 percent the previous year to 2.92 percent. In contrast, industry profit leaders–printers in the top 25 percent of profitability–saw their profit rates on sales dip to 8.8 percent. Profit challengers–printers in the lower 75 percent of profitability–experienced profit gains. Over the entire period from 2005 to 2015, printers participating in the Ratios averaged around 2 percent profit on sales. Of course, the Great Recession pulled the average down significantly, but since the recovery the average has bounced back to longer term trends. Profit challengers (printers in the bottom 75 percent of profitability) actually lost money in the recession-impacted years from 2007-2012. However, their profit rate of .7 percent this past year was the highest ever over the last 13 years. This article was originally posted on Printing.org.